The Intel Core i7-3840QM is a fast quad-core processor for laptops based on the Ivy Bridge architecture and successor of the i7-3820QM. Due to Hyperthreading, the four cores can handle up to eight threads in parallel leading to better utilization of the CPU. Each core offers a base speed of 2.8 GHz but can dynamically increase clock rates with Turbo Boost up to 3.6 GHz (for 4 active cores), 3.7 GHz (for 2 active cores) and 3.8 GHz (for 1 active core). Furthermore, the CPU offers 8 MB Last Level 3 Cache. 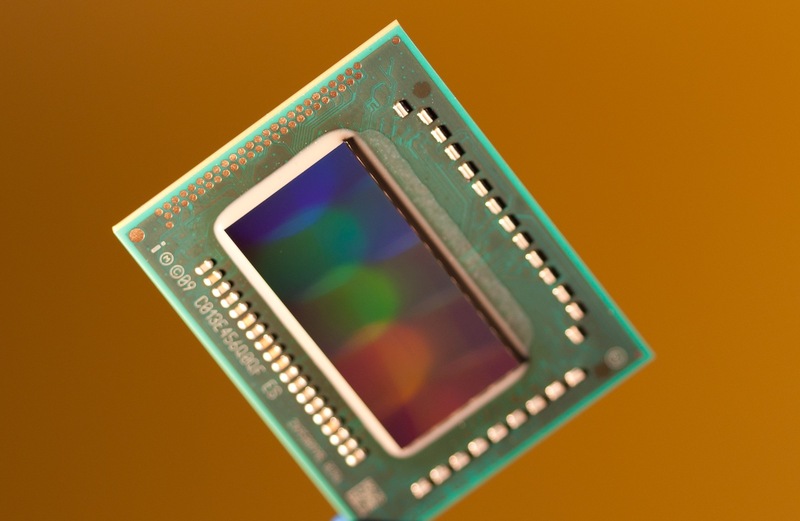 The performance of the Core i7-3840QM should be slightly above a similarly clocked Sandy Bridge processor due to slight architectural improvements. Overall, performance should be similar to the Core i7-3920XM. As with most quad-core Ivy Bridge models, the Core i7-3840QM is specified at a TDP of 45 Watts including graphics card and memory controller. Therefore, the CPU is well-suited for laptops 15-inches or greater.